MEZONIC celebrates his album (Inspire 1) 10th year anniversary! 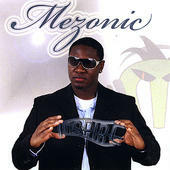 This was MEZONIC's second album and it was released in 2008. Featured artists includes (Liberian Artist: Royal T -- RIP to Royal T was died in 2015), Liberian artists Lone Star & Winston, it also featured American R&B singer Nichell.